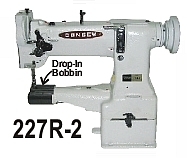 One of the most advanced machines. 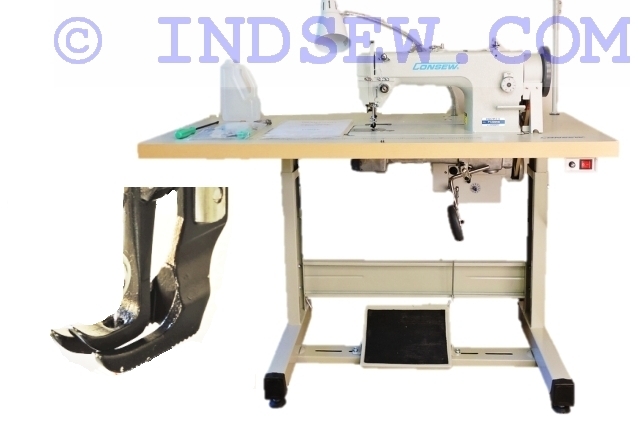 Has several upgraded features that madke it stand above other machines. 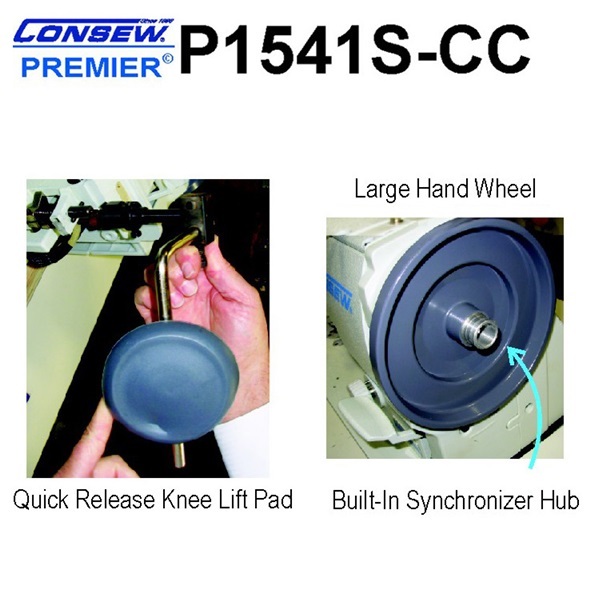 Advanced walking foot motion to avoid gathering, Built-In Synchronizer Hub, large hand wheel and more features that make this machine work like a dream. 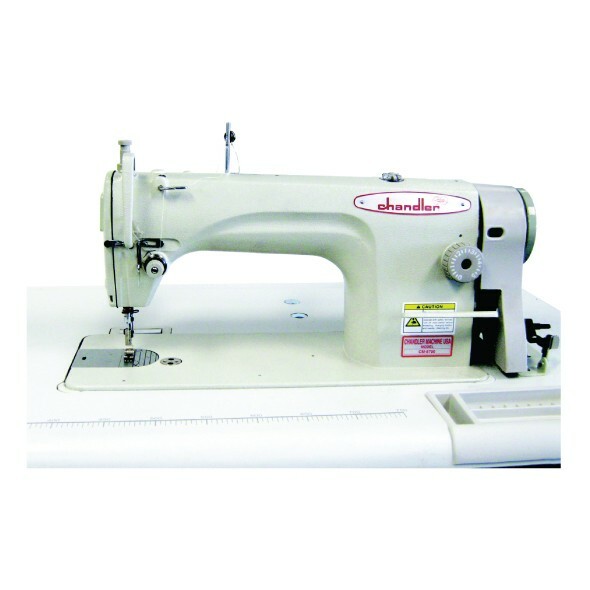 It has the same features as Juki 1541S plus the improvements. 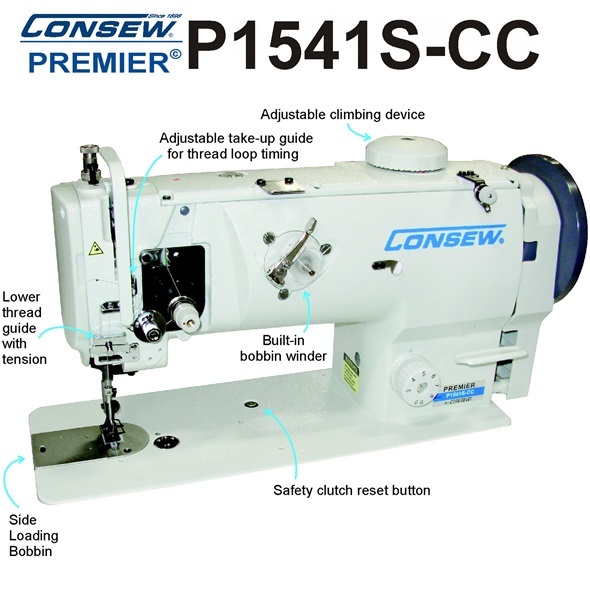 Consew P1541S-CC is advanced walking foot compound feet sewing machine. 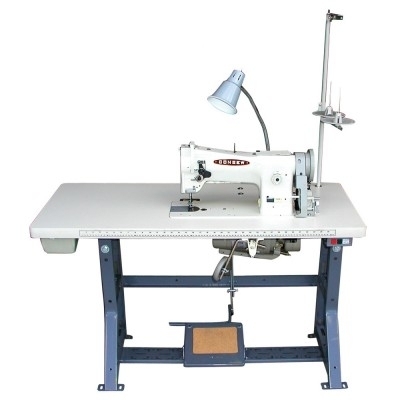 Incorporated advanced features significantly improved sewing ability, walking foot motion, material handling and other parts of sewing process. - Speed, Max. (S.P.M. 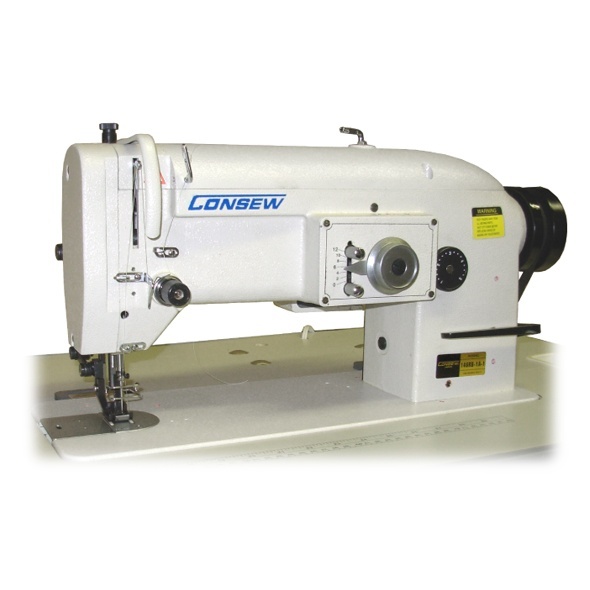 ): 2800 *Speed depends on thread, material and operation.